On the surface, The Current War looks like it could have been about the fight to own the future, and the intersection between commerce and invention. But it quickly becomes apparent that director Alfonso Gomez-Rejon has no idea what to do with the true story of Thomas Edison versus George Westinghouse and their fight to bring their respective systems of electric current to the U.S. It’s a movie that has a clear conflict but couldn’t find a theme with two hands a flashlight. Is it about legacy? Is it about integrity? Is it about inspiration? Is it about capitalism? The script never seizes on any idea, so it stumbles along with broad characterizations and very pretty cinematography that hopes to gloss over the empty spectacle. 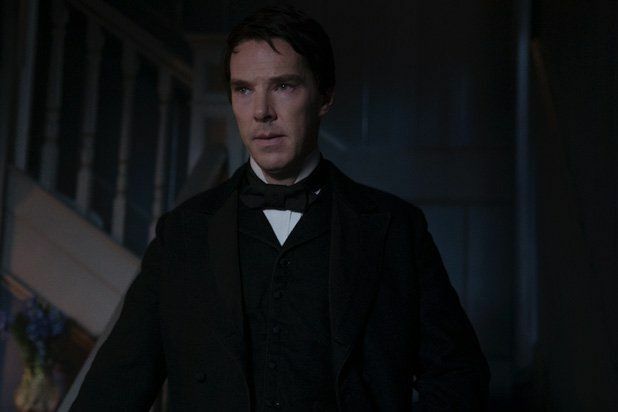 In 1880, the world is still lit by fire, but famed inventor Thomas Edison (Benedict Cumberbatch) believes the solution is direct current, which he will then pump through the lightbulbs he created. Wealthy gas magnate George Westinghouse (Michael Shannon) can see that electricity is the future, but he backs alternating current, which has the benefit of being able to travel longer distances. Westinghouse’s first impulse is to bring Edison to the bargaining table so that Westinghouse can provide alternating current and Edison can provide his superior light bulbs. But Edison stubbornly refuses, thus igniting a war where Edison is content to spread lies about Westinghouse while Westinghouse believes that his superior product and business acumen will eventually emerge victorious. That’s the conflict, but the film can never really seem to find the story or the characters. Yet again, Cumberbatch plays the prickly genius (for people that can’t get enough of Sherlock, Doctor Strange, and The Imitation Game, I guess), although the film tries to temper his attitude by showing that he loves his wife and kids, yet shows no compunction about gobbling up patents and playing the press. The film believes there’s a showdown between Edison, the inventor, and Westinghouse, the businessman, but in reality, they’re both businessmen, and Edison is simply the less scrupulous of the two despite his protestations that he’ll never invent something that could kill. Unable to find serious tension between its two leads, the script then throws in inventor Nikola Tesla (Nicholas Hoult), but never really figures out what to do with him. He fits more organically into The Prestige, a movie where he helps a magician invent lightning clones. What’s constantly frustrating about The Current War is that it has an interesting period of history and three historically important figures, but the film has no idea how to use them. It would be like discovering electricity and then having zero applications for it. I honestly don’t know what The Current War is about even though it brushes up against notions of legacy, business, and family. Taken piecemeal, there are scenes that work like the chemistry between George Westinghouse and his wife Marguerite (Katherine Waterston), but then the film will drop Marguerite for a large chunk of the film because it has no idea what arcs to follow or how to build them. Gomez-Rejon tries to paper over his empty picture with gorgeous cinematography and a rousing score, but neither one of these serve the movie because ultimately there’s nothing to serve. On the one hand, I was grateful that the film was so nice to look at because I would have been bored senseless otherwise, and yet this is a prime example of style over substance. The movie suffers from this approach from the very beginning when an immaculately composed and lit scene follows a group of men on a train out to Menlo Park where Edison illuminates concentric circles of light bulbs. Who these men are and why they came out to Menlo Park is never explained or mentioned again. The Current War may have all the polish of a prestige picture, but it can’t hide its contrived plotting and lack of personal stakes. It will bring in important figures like Tesla but then have no idea what to do with them. It will have Edison mentioning that his people owe him an invention every ten days, but then try to credit him with having over 1,000 patents. It wants to temper Edison by showing him being a nice family man who was a scoundrel and balance Westinghouse by showing his willingness to get a little dirty when necessary, but it’s all so obvious that none of it feels honest. Gomez-Rejon tries to give The Current War an abundance of energy, but he has no idea what to do with it. 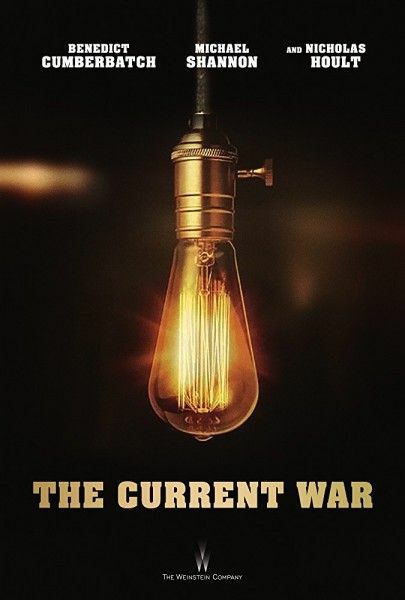 The Current War opens in limited release on November 24th.